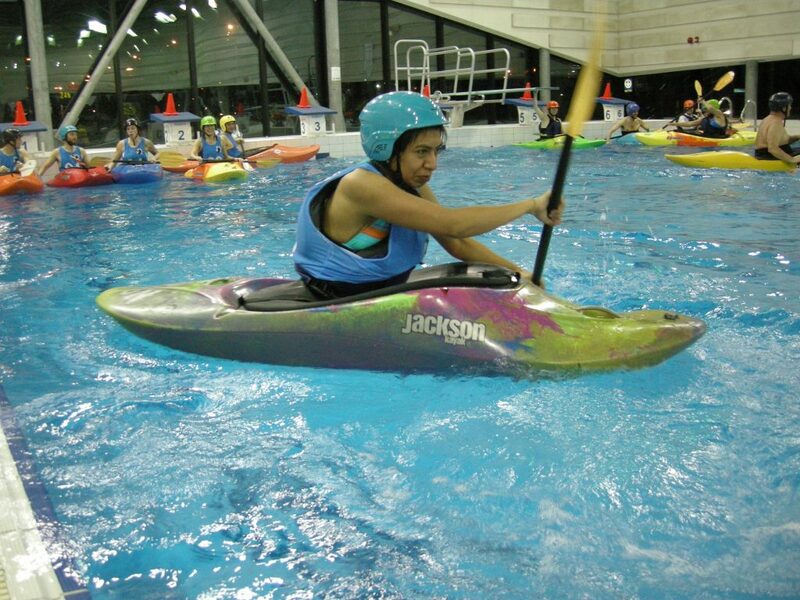 Come try kayaking – in a nice heated pool! We’re offering a one-time intro to river kayaking course in partnership with Montreal’s kayaking club. It will be at the Malépart Pool (Frontenac metro station) on Sunday April 14 from 3 – 7 pm. We’ll be learning: what whitewater kayaking is (as opposed to sea kayaking or canoeing), getting in and out of the kayak, what to do if you flip over, and basic paddle strokes. It’s always necessary to start learning river kayaking in calm water or in a pool. The cost is $30 ($5 for low-income newcomers to Canada) plus tax, including all the gear. Limited space – reserve via my colleagues at the Milton Park Recreation Association at https://www.amilia.com/store/en/armp/shop/activities/2137172 or in person at 3555 St-Urbain or 514.872.0566. Questions? [email protected].